Welcome to April 2018’s edition of Curious Tea’s subscriptions! Let’s look at the four exciting new teas we’re sharing with our subscribers this month. The first light tea this April is Ashikita Zairai Kamairicha, a heritage green tea from Japan that is crafted from a native cultivar and pan-fried, resulting in an unusual well balanced flavour. 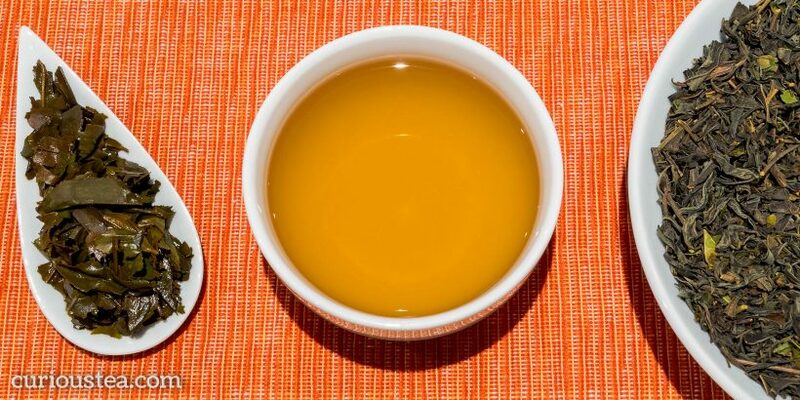 The second light tea is Mao Xie Hairy Crab Oolong from Fujian, a light, crisp and refreshing green oolong. 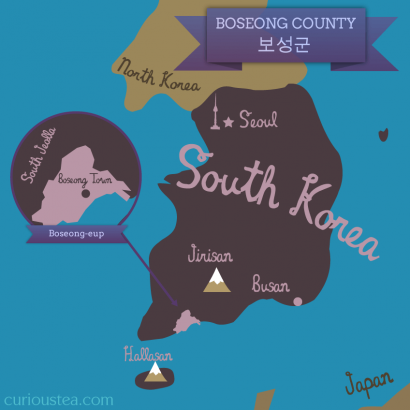 For the darker side of the selection we selected Boseong Daejak Hongcha Black, a smooth and fruity organic black tea from Boseong in South Korea. And finally the last tea of the selection is Tsukigase Yamatomidori Wakocha, an unusual organic Japanese black tea that has an exciting, complex and multilayered profile. Mixed: Ashikita Zairai Kamairicha and Boseong Daejak Hongcha Black. Let’s get into further detail on the products featured in our April tea subscription boxes. Ashikita Zairai Kamairicha (芦北町在来釜炒り茶) is an unusual Japanese green tea crafted from a zairai or ‘native’ cultivar. Unlike most Japanese green teas, this tea is pan-fried rather than steamed, resulting in a more balanced and nuanced character. The farmer utilises a zairai tea plant as well as a heritage processing style to create a tea that is a journey into the past of Japanese tea culture. We source this tea with a help of a specialist tea merchant based in Kyoto directly from the garden. This tea is grown on a tea farm that is run to organic standards in Ashikita District of Kumamoto Prefecture and this crop is from spring 2017. This Ashikita Zairai Kamairicha green tea is crafted from a zairai (在来), or ‘native’ cultivar. In reality, this term does not refer to a single cultivar in a classic sense. Rather zairai in Japan refers to any collection of ‘native’ tea plants. Generally these are old tea gardens with plants that pre-exist modern cultivars and have therefore evolved on their own. Most times these plants would also be grown from seeds rather than cuttings, thus greatly diversifying the variety with the plants of the garden. Generally zairai gardens produce lower yields and are less uniform in output. This is a negative aspect for the farmers as it makes harvesting and processing more costly and complicated while yielding lower returns. However zairai gardens are very much part of the Japanese tea heritage and give a fascinating insight into what tea used to be like before modern selection processes and cultivars were introduced. The zairai plants at this tea garden were planted over 60 years ago using seeds from other ‘native’ tea plants. Ashikita Zairai Kamairicha is also a pan fried tea; kamairicha (釜炒り茶) literally translates as ‘pan-fried tea’. Pan-frying or steaming fresh tea leaves is the process that stops oxidation of the leaves, making green tea. Most Japanese green teas are steamed, which results in a distinctive taste that tends to be heavy on grassy, savoury and astringent flavours. By contrast, kamairicha undergoes pan frying that results in a different flavour profile that is more balanced with sweeter and lighter green notes. Less than 5% of current Japan’s tea output is within the pan-fried category. The process of pan-frying of tea leaves first arrived to Japan from China in the Edo period, around the 17th century. This was the preferred method for stopping leaf oxidation in order to produce green tea. 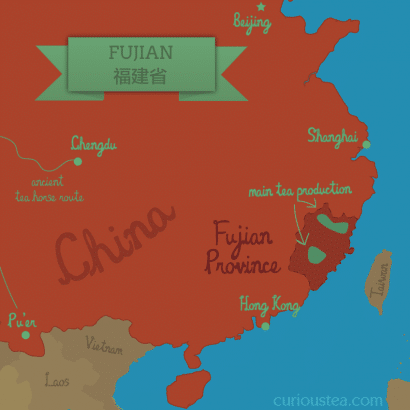 To this day, this is the most common green tea production process around the world. It is considered that the first time steamed tea was produced in Japan was in 1737 when a tea grower named Nagatani Sōen developed a new process of tea production. This process, which consists of steaming the tea leaves fist, then rolling them and finally drying them in the oven is considered to be the standard production method of tea in modern Japan. 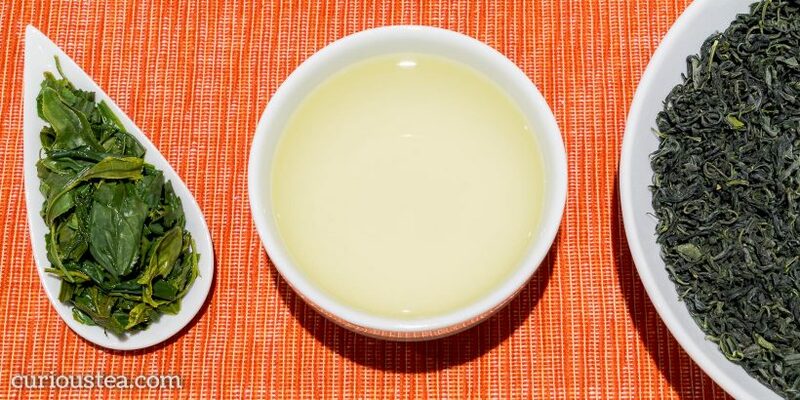 By contrast, pan-frying has fallen out of favour due to demand for steamed Japanese style of tea as well as the ease of processing steamed tea. It is much easier to automate steamed tea production, thus greatly reducing production costs. By contrast pan-frying is still largely performed by hand and requires great skill by the tea master to achieve the perfect results. Hence the general rarity and higher costs for kamairicha pan-fried green tea. This Ashikita Zairai Kamairicha green tea is truly an experience of the past. Utilising traditional zairai plants and heritage processing methods, this kamairicha is a unique experience, allowing us to travel back in time to experience Japanese tea style from many centuries ago. This green tea has dark green curled dry leaves that are very neat in appearance. The liquor has a bright yellow-green colour and is slightly misty in appearance with a vegetal aroma. The taste of this Ashikita Zairai Kamairicha is very clean, thirst quenching and quite exciting. It is completely different to the usual Japanese style green teas, having a much finer balance of flavours. The character is savoury and grassy, with umami and vegetal notes that are very nicely balanced by the more sweet, herbaceous and citrus flavours. There is a slight drying aftertaste without astringency and with freshly cut grass and sweet floral top notes on the roof of your mouth. The clean finish nicely rounds the flavour of this unusual tea. It is best brewed at 80°C for around 2-3 minutes, with multiple infusions. You can also buy Ashikita Zairai Kamairicha tea in our online shop. Mao Xie Hairy Crab Oolong (毛蟹烏龍茶) is a rather refreshing light oolong. It comes from the famous Anxi County of Fujian Province where it is grown around Gan De Town at an altitude of around 500-700m. Firmly in the ‘green’ category of oolongs, it has a lovely, lightly floral profile with fresh vegetal and citrus notes. This crop of Mao Xie Hairy Crab Oolong is from Autumn 2017 harvest. This type of oolong, similarly to our Tie Guan Yin Iron Goddess of Mercy, is sometimes classed as a ‘green’ or ‘jade’ oolong due to the low oxidation level of the tea leaves. This low oxidation means that Mao Xie Hairy Crab Oolong has a light floral profile and has some characteristics that are similar to a green tea, while having an overall smoother and less astringent flavour. This characteristic is very appealing to tea drinkers that are looking for a refreshing type of tea that is similar to green tea in flavour but has lower levels of astrigency or bitterness. 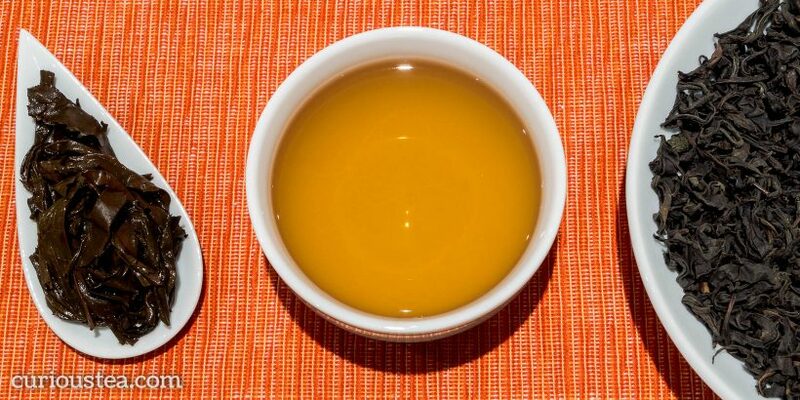 Mao Xie Hairy Crab Oolong has a very distinctive name that is bound to cause a few laughs. The rather unusual name of this tea has a rather simple origin. Most likely it acquired the Mao Xie (毛蟹) name, which literally translates as Hairy Crab, from the appearance of the tea leaves. The tea leaves of this Mao Xie cultivar have tiny silver hairs on the bottom of the leaves. Someone at some point made the connection between the appearance of these tea leaf hairs with the tiny hairs that some crabs can be covered with. Some also draw the much broader similarity between the appearance of the irregular rolled dry leaves and that of crabs or their claws. Good imagination is certainly required for this theory, but perhaps there are some similarities? Either way, the name obviously stuck and this tea ended up with an unusual and rather marine name! The leaves of this Mao Xie Hairy Crab Oolong are tightly rolled but are irregular in shape and have a combination of light and dark green colours. The dry leaves have a fresh floral aroma and produce a lightly coloured and lightly perfumed liquor. The unfurled wet leaves have an appearance that is typical of a classic light Chinese oolong – whole leaves without stalks. This can be contrasted with the Taiwanese style of oolong tea, where both leaves and stalks are rolled. The medium-bodied character of this Mao Xie Hairy Crab Oolong is crisp and refreshing, being quite light yet flavoursome. There are floral, citrus and green fruit notes that remind of magnolia, yuzu and sweet melon. The profile is a little similar to a green tea, exhibiting vegetal and slightly buttery notes. However, it also has a pronounced smooth floral flavour with no astringency or bitterness, making this an ideal tea to try for those that find green tea a little too bitter or drying. We suggest brewing at 90°C for 3-4 minutes at a time if brewed Western style, re-infusing the leaves multiple times. This tea will also benefit from gong fu brewing. 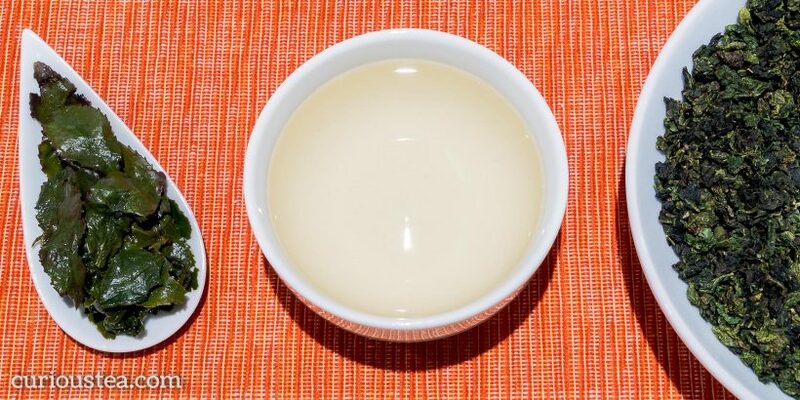 For gong fu method we suggest using a 150ml clay pot or gaiwan with approx 4g of tea, and water at 90°C. Pour the water over the leaves and then discard this first wash. Brew initially for 20s, increasing each subsequent brew by another 5-10s. You can repeat these steps until there is no flavour left in the leaves. You can buy Mao Xie Hairy Crab Oolong tea in our online shop. You can also buy Boseong Daejak Hongcha Black tea in our online shop. Tsukigase Yamatomidori Wakocha (月ヶ瀬村大和緑和紅茶) is a unique smooth and complex Wakocha, or Japanese black tea. This organic Japanese black tea is crafted from a Yamatomidori cultivar grown in Tsukigase Village of Nara Prefecture. 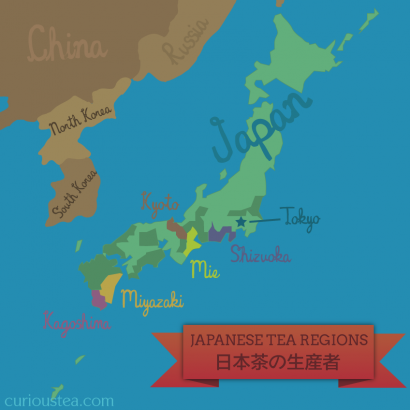 We source it with a help of a specialist tea merchant based in Kyoto directly from the farms. This tea is a first flush crop from spring 2017. This Japanese black tea is grown at a fully organic farm without any artificial pesticides or fertilisers so it has full organic JAS certification. The care taken to craft teas at this organic farm is evident in the flavour of this Tsukigase Yamatomidori Wakocha, resulting in a clean and fresh flavour. Furthermore, both the growing and processing methods employed at this farm follow orthodox production methods. This Tsukigase Yamatomidori Wakocha is from seed-grown trees of a Yamatomidori cultivar (大和緑). The Yamatomidori name means Yamato green and refers to the historic Yamato region that was originally the area around Nara. Yamato became somewhat of a byword for Japan or Japanese, so the name of this cultivar can be easily translated as ‘Japanese green’. This cultivar was developed and introduced in Nara in 1953 and it is mostly utilised in production of green teas. It has now been overtaken in popularity by more modern and higher yielding cultivars so it’s not very common, with only a few fields around Nara still growing it. At this farm the younger and smaller leaves from the plants are used for making sencha green tea, while the larger coarser leaves are reserved for black tea. This is mainly as the larger leaves tend to have the necessary robustness required for a good black tea, yet still this tea is quite light bodied. The leaves of Tsukigase Yamatomidori Wakocha are very mixed in appearance, light green-brown in colour with some brighter green and orange leaves. The look of the leaves is somewhere between a large leaf Darjeeling and a roasted Hojicha with some additional stems in the mix. The liquor has a red amber colour and a mineral aroma. On the palate the first taste is quite strong, flavoursome and full, giving way to a smooth and complex flavour with a clean, tangy and slightly savoury finish. There are mineral, woody and stony flavours with comforting notes reminiscent of spiced orange and walking through a summer forest. The first impressions are quite dramatic but quickly recede, leaving you with a pleasant multilayered taste. This is an unusual and complex cup of tea, the flavours or which develop with each sip and change with each infusion. It is best brewed at 90°C for around 3 minutes, with multiple infusions. You can also buy Tsukigase Yamatomidori Wakocha tea in our online shop. We really do hope that you enjoy the tea selection for April and are looking forward to the next instalment in May!